Ahoy matey! 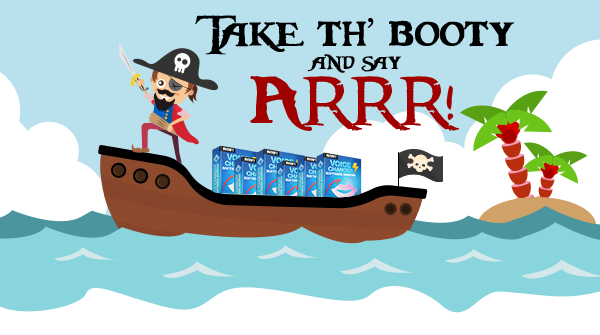 Time to say ARRRR with yer true pirate voice! It's Talk Like a Pirate Day. Be prepared, me buccaneer buddies, for we now set a fun course into th' mysterious seven seas of the Internet with "Pirattitude". Dig th' booty and show yer best pirate voices in all th' chat rooms 'n audio journeys. It's extremely easy to add a background sound and effects in your Skype video call, Viber,etc. 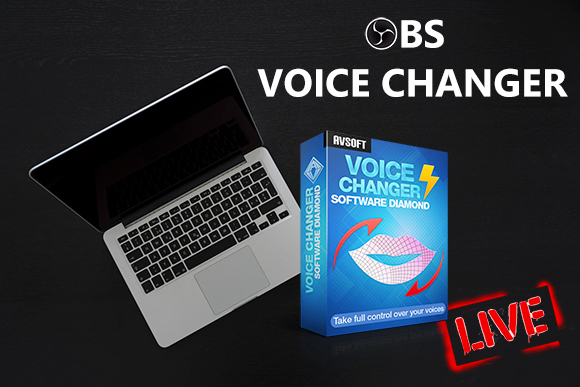 What you need is just one voice changer software and the free add-ons. - Blow the man down! Did you know? 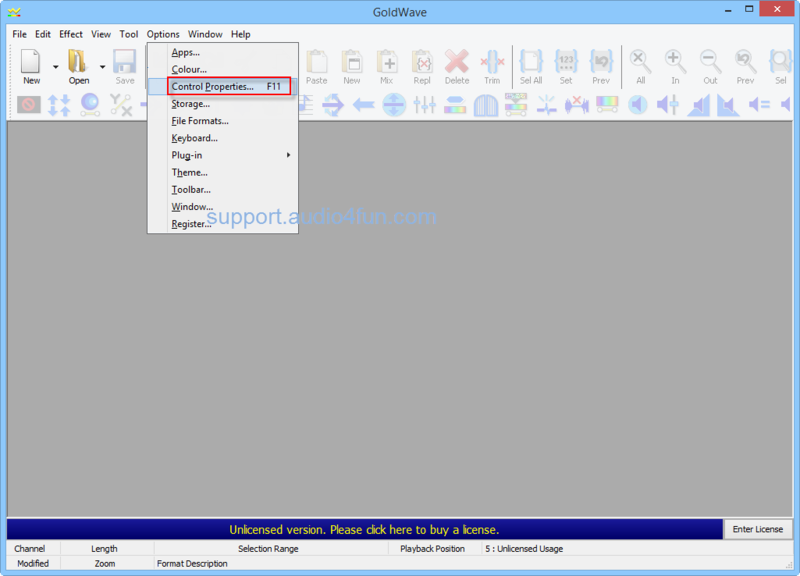 You can always rely on a freeware to convert and morph audio files for free. There are many tools that can convert audio formats, but morphing audio? Only a few ones that are free. In this tutorial today, you will have a very great software to morph audio in a professional way, but surprisingly, it's FREE. 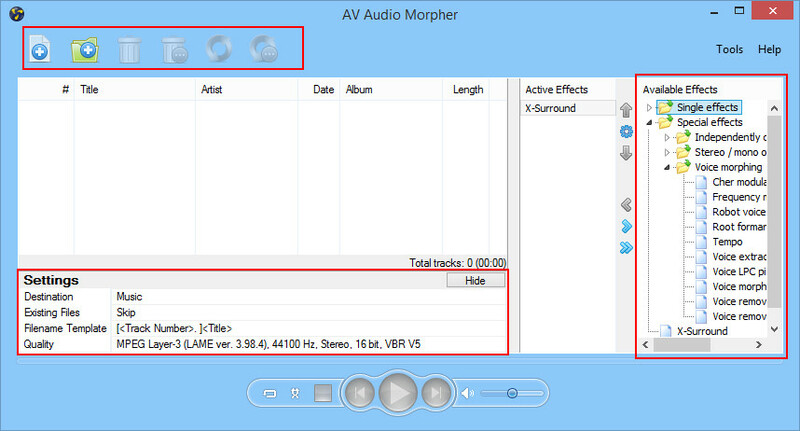 Audio Morpher is a great freeware that can help you convert file formats, morph audio, add effects and many other features. Do you know what you can do with this software? Absolutely amazing! It's a very simple software, free and can do many good audio tasks that can be even compared to a paid audio software if your demand is not too complicated. - Convert file formats in batches. - Add effects to one file or many files at once. 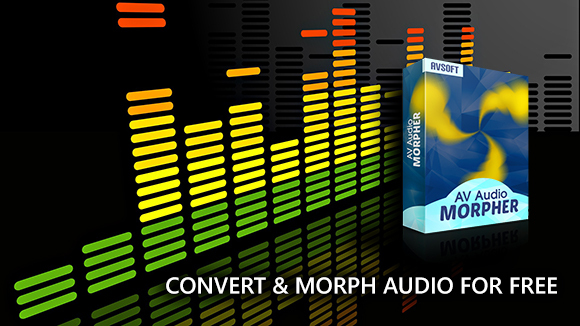 - Morph audio with many morphing effects. - Quality: choose quality, file formats and many more. - Single effects: 3D sound, airport, bell, empty room, etc. - Special effects: Equalizer, Volume boost, Echo, Voice morphing, X surround ,etc. Just choose the effects you want, they will appear in the Active Effects box. That's it. With just one panel, this software is a fully functioning tool to help you convert audio formats/morph audio/ add effects and more. Voice changer for Android will make you surprised with all the fun stuff that you can do with just a simple software and a voice changer. 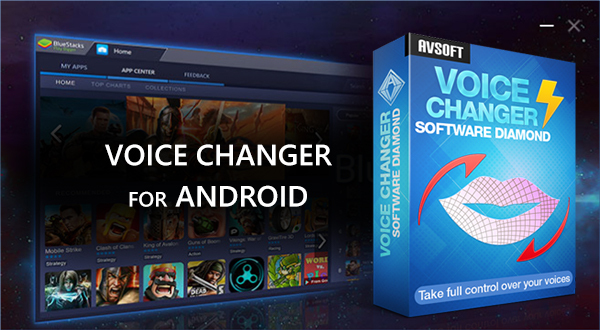 In this tutorial, we will show you how to use Android voice changer with BlueStacks and Voice Changer Software Diamond. With this, it's just like that you have a male to female voice changer during call for Android (through Internet), a total audio editor/recorder/converter for your audio part, a voice changer to make fun stuff on live streams, and many other cool things to do. It's a software to help you use Android apps, and also live stream Android from a PC. Awesome, right? 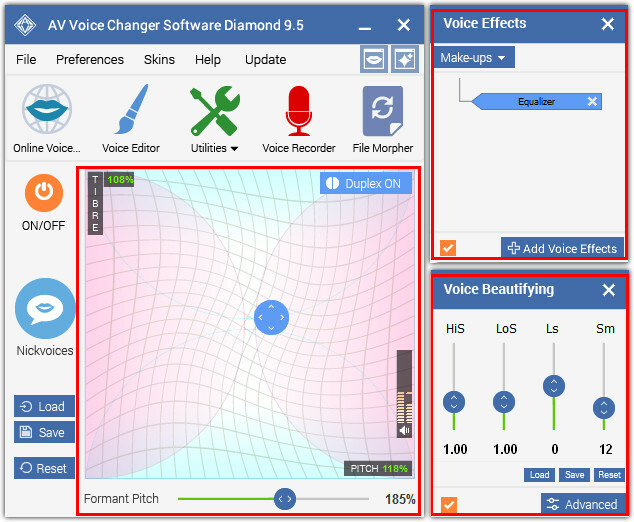 What is Voice Changer Software Diamond 9.5? This is the ultimate voice changer for every prank, every stream, every call you make. You can change your voice from male to female, talk in real time in calls and streams, record audio, mimic terminator, Darth Vader or anyone. 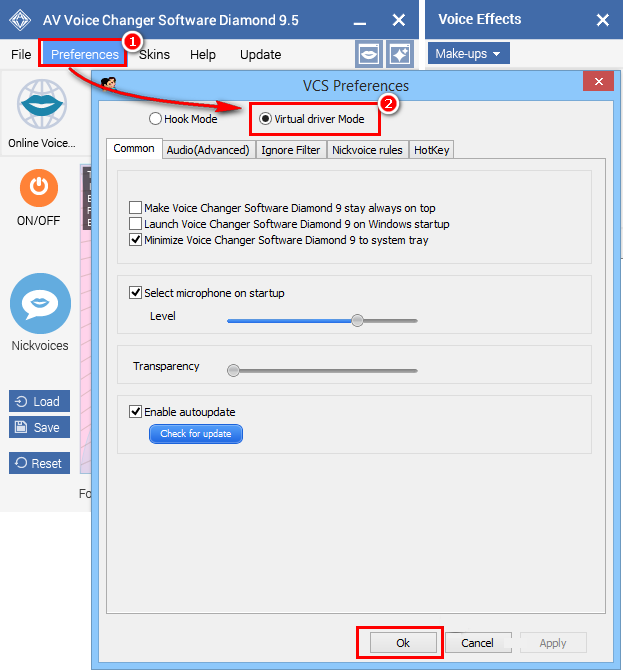 - When VCS Preferences window appears, choose Virtual driver Mode (2). - Right-click on the Speaker icon on your System Tray. And now, are you ready for some fun with Android voice changer? It's time to turn on BlueStacks. And now, it's time to open your BlueStacks, change your voice with Voice Changer Software Diamond 9.5 and enjoy the best fun you ever had. - Sign in with Google. - Download your favorite apps and enjoy. 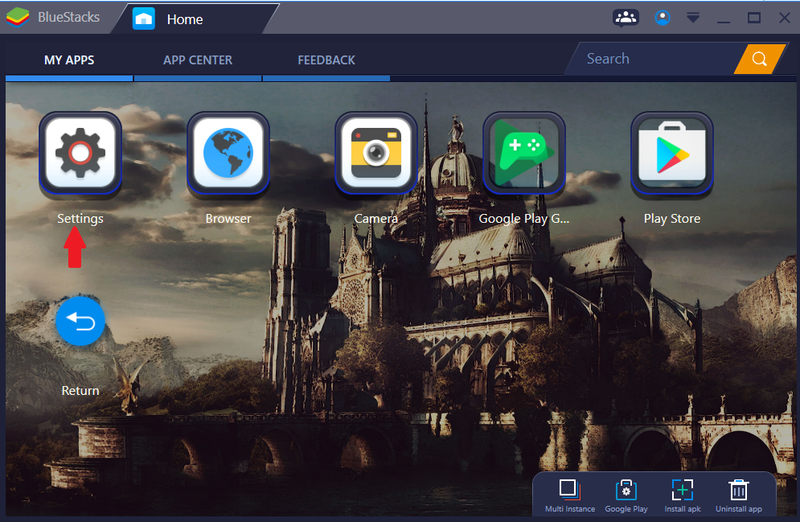 - Copy files from your PC to BlueStacks by selecting the Settings button if you want to import files. Lighten your OBS Stream with fun stuff from OBS voice changer and get more view, isn't that cool? In this post today, we will show you how to use voice changer software for OBS and make your live stream on Twitch, Youtube, or any other platform the most entertaining. 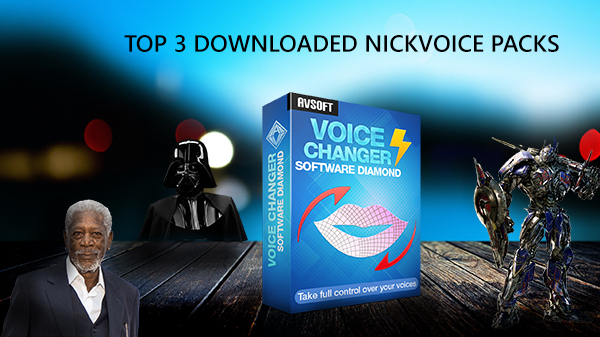 In this tutorial, we will use AV Voice Changer Software Diamond 9.5 to change your voice to any voice, mimic famous people, sound like Chipmunk, Darth Vader or anyone. The awesome thing is that you can change to other voices in real time and go live on OBS Stream. There is also a huge library of effects to apply to your voice, add background effects, non-human voices and more. You can sound like staying at a bus stop, a traffic jam, background music and many other cool things. - Click OK to apply the new setting. Virtual driver Mode can help the voice changer software focus solely on the OBS Stream, which will enhance the quality of your voice. - Click OK (6) to apply changes and close the window. - You can change your voice in one click with Nickvoices. Nickvoices are the built-in ready-to-use voice presets that can change your voice from male to female, female to male, non-human voices and many more. You can creatively change the age and gender of your voice with Pitch-Timbre graph. You can add voice effects, background effects and many more. You can enhance voice quality with Voice Beautifying. - just speak into the microphone, your voice will be morphed instantly in real time. Record in Goldwave has never been more fun with a voice changer. 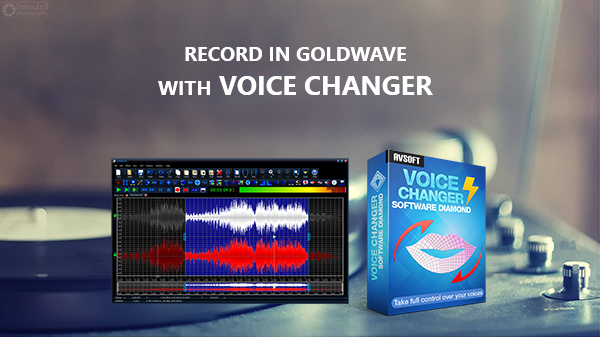 Are you looking for a new way to record your voice and create a creative audio? This is absolutely what you need: change your voice to anyone, record the voices, along with realistic background effects and voice effects for your project. - In Record section. 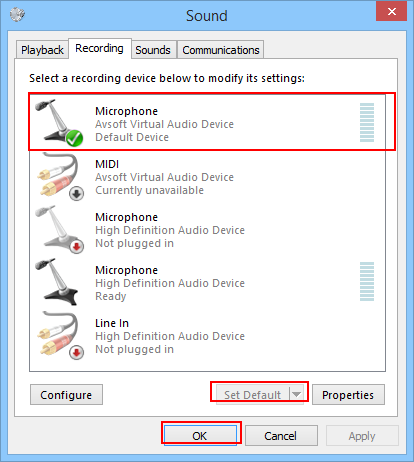 Change Device to Microphone (Avsoft Virtual Audio Device) [05F5] (2). - Click OK button (3). - Choose Preferences (1) to open VCS Preferences window. - Add voice effects, background effects, adjust Equalizer and more with Voice Effects. - Customize your voice quality, characteristics and even accent with Voice Beautifying. >> Make adjustments until you are satisfied. - Or you can use Nickvoices to change your voice in one click with ready-to-use voice presets. - Check out the Add-on Store for free add-on and effects, updated regularly. 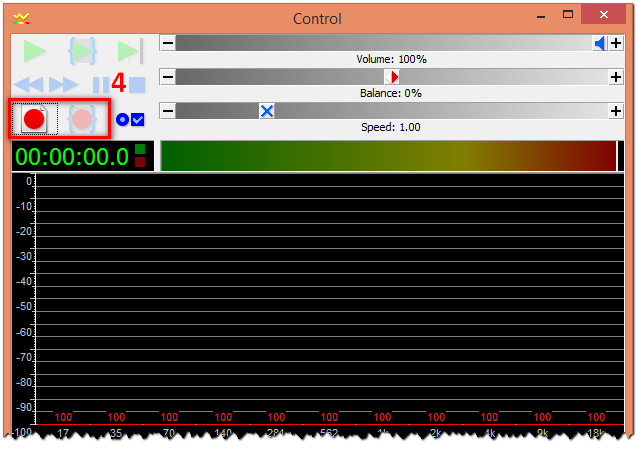 When using Goldwave, you will see the Control dialog box. 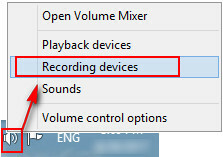 - Click Record button (4) on Control dialog box to start recording. In this tutorial today, we will show you how to use this free audio converter to convert video format to another with a free software from Audio4fun. 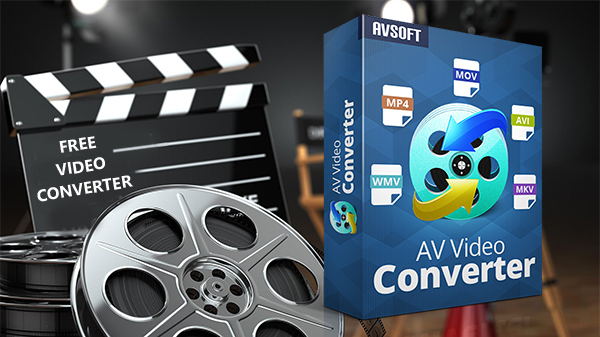 With this freeware, you will be able to convert from any format to a new video that can be used in Android, iOS or even convert a video into audio with MP3, WAV or other audio fotmats. Supported video formats: AVI, FLV, MKV, MP4, MPEG-1, MPEG-2, OGV (OGG Theora), WebM, WMV, etc. Supported audio formats: AAC, AC3, ALAC, DTS, FLAC, M4A, MP2, MP3, Opus, OGG, Speex, WAV, WavPack, WMA, etc. - Select Add file(s) to convert icon (1) and then choose the files you want to convert. - Choose Destination (2) - where you want to save the converted files. - Select what to do with Existing files and Filename Template (if you convert multiple files). - Choose which Format you want to convert (3) - this is important. If you want to convert a video into audio, simply choose audio formats such as MP3, WAM, WAV, etc. - You can choose Video settings with: Codec, Video size, Zoom, Aspect ratio, Mode and Quality. If you are not sure which Codec and Mode to choose, simply leave it at Default. 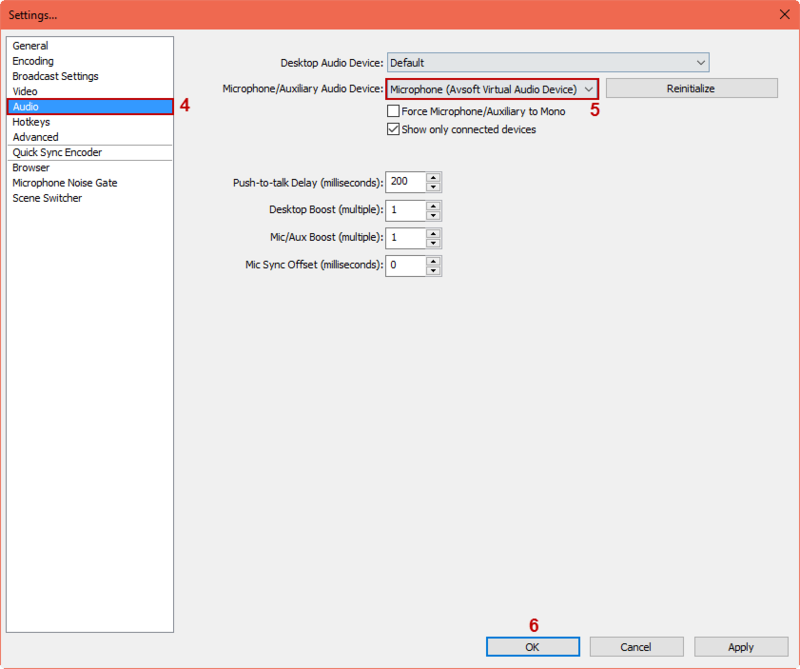 - You can choose Audio settings with: Codec, Sample rate, Channels, Mode, Quality. If you are not unsure about any of those settings, also leave it at Default. 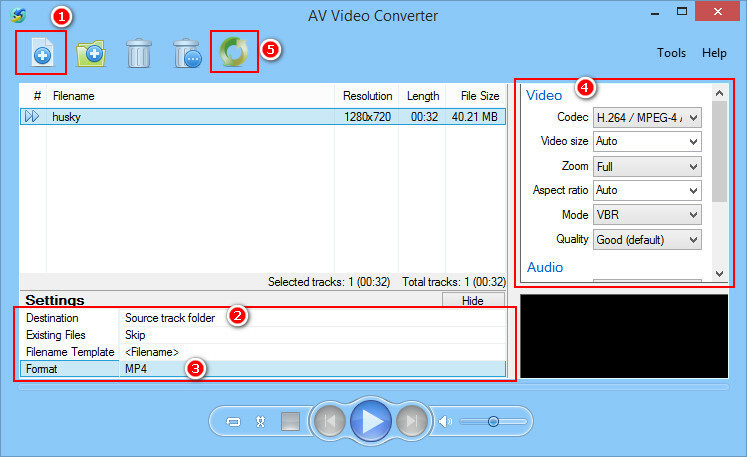 And finally, click Convert all tracks button (5) to start the process and finish converting.